Guanajuato ([gwanaˈxwato]), officially the Free and Sovereign State of Guanajuato (Spanish: Estado Libre y Soberano de Guanajuato), is one of the 31 states which, with the Federal District, are the 32 Federal entities of Mexico. It is divided into 46 municipalities and its capital city is Guanajuato. The largest city in the state is León. It is located in North-Central Mexico. It is bordered by the states of Jalisco to the west, Zacatecas to the northwest, San Luis Potosí to the north, Querétaro to the east and Michoacán to the south. It covers an area of 30,608 km2 (11,818 sq mi). 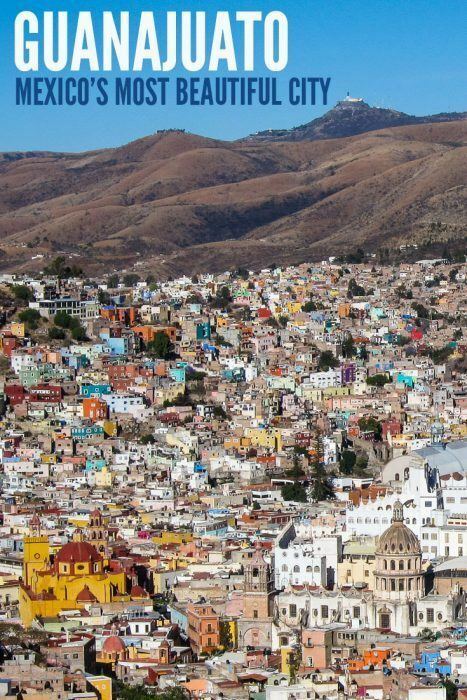 Guanajuato is located between the arid north of the country and the lusher south, and it is geographically part of the Trans-Mexican Volcanic Belt, the Mexican Plateau and the Sierra Madre Oriental. It was initially settled by the Spanish in the 1520s due to mineral deposits found around the now capital city of Guanajuato, but areas such as the Bajío region also became important for agriculture and livestock. Mining and agriculture have been the traditional mainstays of the state's economy, but today, about 30% of the state's GDP is accounted for by industry, which includes metals, automobiles, leather goods, processed foods and more. The state is home to several historically important cities, especially those along the "Bicentennial Route", which retraces the path of Miguel Hidalgo y Costilla's insurgent army at the very beginning of the Mexican War of Independence. This route begins at Dolores Hidalgo, and passes though the Sanctuary of Atotonilco, San Miguel de Allende, Celaya, Uriangato, and the capital of Guanajuato. Other important cities in the state include León, the most populous, and Irapuato. 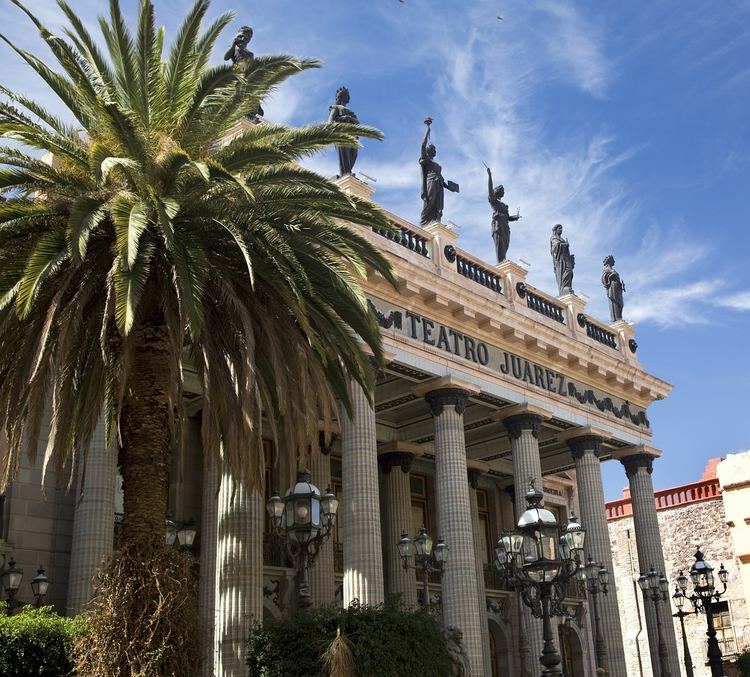 Guanajuato is located in the center of Mexico, north-west of Mexico City, bordering the states of Zacatecas, San Luis Potosí, Michoacán, Querétaro and Jalisco. It covers an area of 30,589 km² and is ranked 20th out of 31 states. It has an average altitude of 2,015 meters (6,611 ft) above sea level, with its territory divided among three of Mexico's physical regions, the Sierra Madre Oriental, the Mexican Plateau and the Trans-Mexican Volcanic Belt. The Sierra Madre Oriental in Guanajuato consists of the Sierra Gorda and the Sierra del Azafrán in the northeast. The Mexican Plateau extends through the center of the state. Within, it subdivides into various regions parted by low-lying mountain chains such as the Sierra de la Cuatralba and the Sierra de Cubo. The Trans Mexican Volcanic Belt crosses the state in the south and includes the Bajío area, the Altos de Jalisco and the valleys area in the far south. The state is crossed by several mountain ranges which have mountains between 2,300 and 3,000 meters high. Mountain ranges average 2,305 meters and flat areas lie at around 1,725 meters above mean sea level. The other important mountain ranges include the Sierra Gorda to the north, the Sierra de Guanjuato in the southeast, the Comanja in the northwest and the Codorniz in the east. The state is divided into five regions, taking into consideration geography and climate. These are called Altos de Guanajuato, La Sierra Central, Bajío, La Sierra Gorda and Los Valles del Sur. The Altos de Guanajuato, located in the north of the state, are a chain of forested mountains interspersed with pastures, small fields and areas with cacti and other desert plants. They begin near the border with San Luis Potosí, and extend south to Dolores Hidalgo and then to San Miguel de Allende, then to the Querétaro border. The altitude of this area varies from 1,800 to peaks over 2,900 meters such as the La Giganta and La Sierra del Cubo mountains. The climate is mostly semiarid with a rainy season in the summer, with average temperatures between 15 and 20 °C. However, lows in the winter frequently reach 0 °C or lower with frosts. Wildlife is found mostly in the most rugged and inaccessible areas and includes deer, coyotes, eagles and rattlesnakes. The state has about 1,500 bodies of surface water, along with underground aquifers in most parts of the state. The principal lakes in the state are the Cuitzeo, which is on the border with Michoacán and the Yuriria. Several of the Siete Luminarias craters have also developed crater lakes, especially in the ones called "La Joya," "Parangueo" and "Olla de Zìntora." The most important river in Guanjuato and one of the most important in the country is the Lerma River, along with its tributaries Guanajuato River, La Laja, and Turbio. The Lerma River basin covers 81% of the state (center and south) with the Pánuco River basin (north of the state) and Cuitzeo Lake covering the remaining. The Lerma River is regulated through various dams in part to control the fact that it ran very high in the rainy season and very low in the dry season. These dams include the Ignacio Allende, la Purísima, Solís, La Gavia, Conejo II and Santa Ifigenia. Then Chichimeca and other nomadic groups entered the area. These nomadic indigenous groups are generically referred to as Chichimeca, but in reality they were a variety of ethnicities such as the Guachichiles, Pames and Zacatecos. These groups were warlike, semi nomadic and did not practice significant agriculture, nor did they construct cities. Part of the state was also inhabited by the Otomi but they were mostly displaced or dominated by the Purépecha in the southwest and the Chichimeca in other parts. By the 16th century, most of Mesoamerica was dominated by either the Aztec Empire or Purépecha Empire, but Guanajuato was under the control of neither. It was on the northern border of the Purépecha Empire with southern Guanajuato showing significant cultural influence in the southern valleys, and Aztecs had ventured into the area looking for minerals. However, most of the state was dominated by various Chichimeca tribes as part of what the Spanish would call the "Gran Chichimeca." These Chichimeca were mostly nomadic with some scattered agricultural communities, mostly in the north. As Guanajuato marks the beginning of the arid north of Mexico, at first relatively few Spanish came to settle as opposed to points south, where rainfall and indigenous labor was in much greater supply. The first Spanish expedition to arrive to the Guanajuato area was led by Cristóbal de Olid in 1522 which arrived to the Yuririhapúndaro and Pénjamo areas. The discovery of silver and gold in the area of the city of Guanajuato spurred Spanish settlement of the area in the 1520s and 1530s. When the Spanish did arrive, native tribes retreated to the most inaccessible areas of the Bajío and mountains ranges in the state, resisting the invaders, attacking settlements and travelers along the routes that connected Spanish settlements and mining camps. Unlike the more settled indigenous peoples, the Spanish were unable to force the natives of this area to work and brought African slaves and indigenous peoples from other areas to work the haciendas and mines. The colonization efforts in the eastern part of the state began in 1542 when Spanish land grants were issued for the Apaseo and Chamácuaro areas. In 1555, San Miguel el Grande was founded to protect roads linking mining camps and cities with Mexico City. The Villa de León was founded in 1576 to counterattacks by the indigenous peoples. But through the first centuries of the colonial period, the city of Guanajuato dominated because of its mines. The official name of the state is Guanajuato, Estado Libre y Soberano (Guanajuato, Free and Sovereign State). 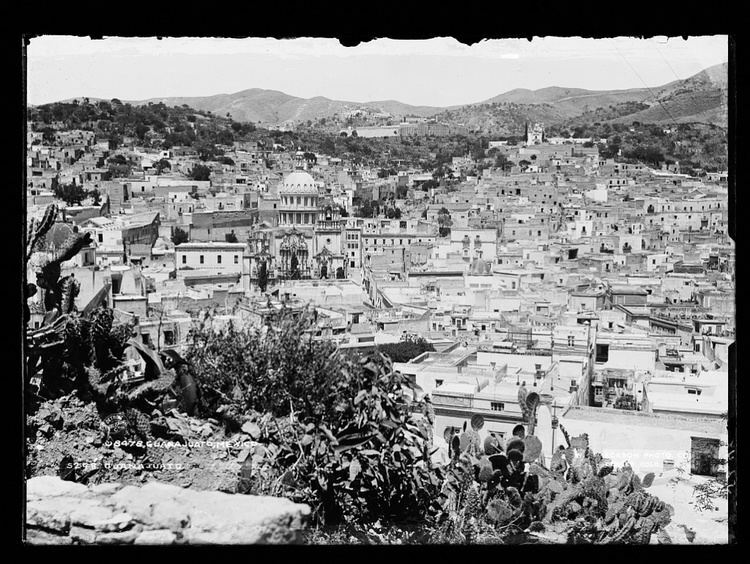 "Guanajuato" comes from Purépecha Quanaxhuato, which has been translated as both "place of frogs" and "places of many hills." The coat of arms of the state is that of the city of Guanajuato which was granted by Carlos I of Spain. Numerous plans were made, but few were carried out or had impact until 1809. In that year, a group consisting of Miguel Hidalgo y Costilla, Ignacio Allende, Juan Aldama, Miguel Domínguez and more, began to plan an armed revolt against the colonial government. In 1810, the plot was discovered and Hidalgo decided to put their plans into action in September instead of the planned date in December. On 15 September, Miguel Hidalgo y Costilla declared the Grito de Dolores in the town of Dolores (Hidalgo). Hidalgo, accompanies by Ignacio Allende, left Dolores with about 800 men, half of whom were on horseback. Just through sheer numbers, Hidalgo's army had some early victories, going through the economically important and densely populated province of Guanajuato. One of Hidalgo's first stops was at the Sanctuary of Atotonilco. There, Hidalgo affixed an image of the Virgin to a lance to adopt it as his banner. He then inscribed the following slogans to his troops’ flags: "Long live religion! Long live our most Holy Mother of Guadalupe! Long live Ferdinand VII! Long live America and death to bad government!" The extent and the intensity of the movement took viceregal authorities by surprise. San Miguel and Celaya were captured with little resistance. On 21 September 1810, Hidalgo was proclaimed general and supreme commander after arriving to Celaya. At this point, Hidalgo's army numbered about 50,000. However, because of the lack of military discipline, the insurgents soon fell into robbing, looting and ransacking the towns they were capturing. On 28 September 1810, Hidalgo arrived to the city of Guanajuato. The town's Spanish and Criollo populations took refuge in the heavily fortified Alhóndiga de Granaditas granary defended by Quartermaster Riaños. The insurgents overwhelmed the defenses in two days and killed an estimated 400 - 600 men, women and children. Fighting associated with the War of Independence would return near the end of the conflict. Military commanders Luis de Cortázar and Anastasio Bustamante joined forces with Agustín de Iturbide and took the city of Guanajuato on 8 July 1821, declaring the entire state independent of Spanish rule. In 1824, Guanajuato was officially proclaimed a state of Mexico by the Constitutional Congress of Mexico. The situation stabilized over much of the government of Porfirio Díaz at the end of the 19th century and the economy improved, but the Diaz government was oppressive. Diaz installed Francisco Mena as governor of the state, who made a fortune through the concession of railway lines which were being built to modernize the country. Even though slavery was officially abolished during the War of Independence, most laborers in farms and mines were extremely underpaid and in a number of cases not paid at all. Agricultural production reached a peak at the end of the 19th century, earning the state the nickname of the "granary of the Republic." Industrialization took hold in cities such as León, Salvatierra, Celaya and San Francisco del Rincón, making shoes, textiles and hats. One battle of the Mexican Revolution occurred in Celaya in 1915 between the troops of Álvaro Obregón and Francisco Villa. Many from the state fought and died in other parts of Mexico, leaving behind widows and children. After the war, the large landholdings were broken up and land redistributed into ejidos, or commonly held land, which benefitted many rural families. The Chichimeca Jonaz refer to themselves and other indigenous as "uza" (singular) or "ézar" (plural), which roughly translates to "Indian." 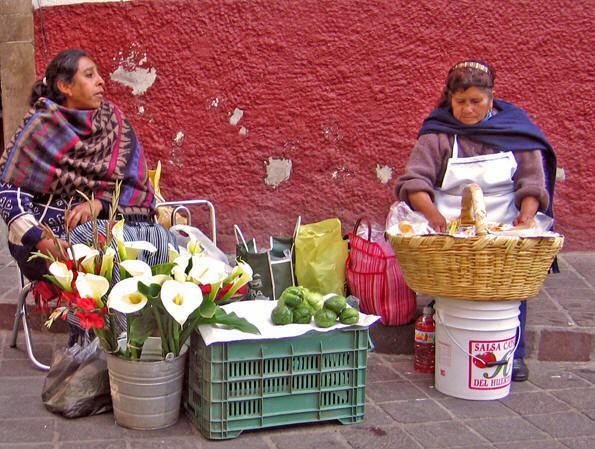 Their language is Oto-Pamean and related to their neighbors, the Otomi. Most Chichimecas are found in the municipality of San Luis de la Paz, in the community of Rancho Uza or Mision Chichimeca. This community subdivides into the Mision de Abajo in the east and Mision de Arriba in the west. This area borders lands of the Huasteca and Pame groups, and there have been conflicts among the three. The Chichimeca Jonaz have a mixed Catholic-indigenous belief system. While outwardly Catholic, many rituals still follow the cycles found in nature, such as planting and harvesting and lunar cycles. The most important "spirit guides" are the eagle and water, with the Virgin of Guadalupe playing an important role as Universal Mother. One important saint is Isidore the Laborer, who is connected to the bringing of rain. Concentrated in San Miguel de Allende are foreign residents mostly from the United States and Canada who have come to live because of the area's mild climate, cultural opportunities and low crime. While only about ten percent of San Miguel's total population, they have had a large impact on the area economically, accounting for most home buyers. Estimates of foreign residents range from 8,000 to 12,000 with about 7,000 of these from the United States alone. This makes San Miguel one of the largest American communities in Mexico, large enough to warrant its own U.S. consulate to provide services such as notary and passport. The Ruta de Aventura connects ghost towns and abandoned mines with natural areas for hiking, mountain biking and ATV as well as other extreme sports such as paragliding. One of the ghost towns is Mineral de Pozos in the northeast of the state. The town still has its cobblestone streets with names such as Relámpago (lightning), Estrellas (stars) and Flores (Flowers). The houses here are abandoned, many in ruins and none with roofs. The town reached it height during the late 19th and early 20th centuries, when it was called Ciudad Porfirio Díaz, but the mines later gave out and the population left. In 1982, the town was declared a Historic Monument Zone. Although no one lives there, tourism keeps a few businesses alive around the main square such as the Pozos cantina, which exhibits photographs and other memorabilia on its walls. Outside the town is the Santa Brigida mine which sustained the town until it gave out. It is marked by three large ovens with tall pyramid roofs. These were constructed by the Jesuits to work ore from the mine. The Ruta Arqueológica (Archeological Route) links the two pre-Hispanic sites of Plazuelas and Peralta which are currently open to visitors with two others which are scheduled to be opened sometime in the future: La Virgen de la Cañada in San Miguel de Allende and El Cóporo in Ocampo. Many of the dishes that are traditionally eaten in Guanajuato are regional variations of dishes known in other parts such as carnitas, tamales, birria and pozole. A version of the enchilada is called the enchilada minero (miners’ enchilada), which is a tortilla fried in lard and then filled with chicken and covered with a sauce made with guajillo chili peppers, a cheese called ranchero and chopped potatoes and carrots. Recently, there has been a movement to update many of these dishes, keeping to traditional ingredients, called "Guanajuato fusion". This is most popular in upscale restaurants in San Miguel de Allende and Guanajuato and can include dishes such as tuna with chili peppers and duck with mesquite honey. 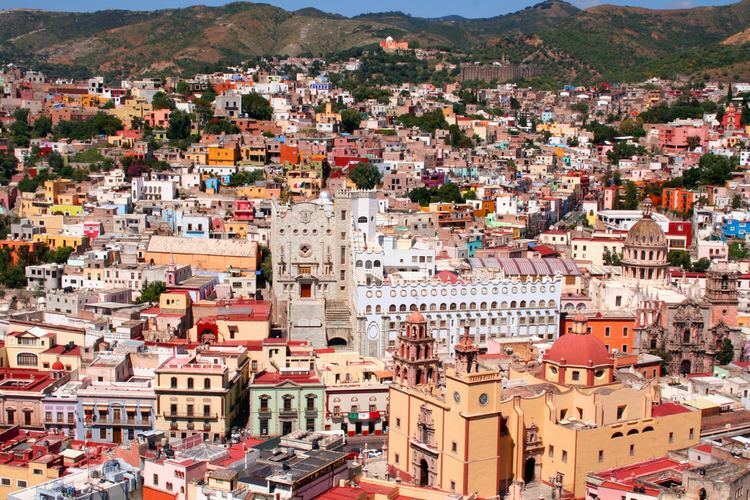 Guanajuato is home or place of origin of three important painters: Diego Rivera, José Chávez Morado and Olga Costa. Rivera was born in the city of Guanajuato and spent his early childhood there. When he was older, he moved to Mexico City to study painting and eventually became one of Mexico's most famous muralists. José Chávez Morado was a prolific painter who lived and worked in the city of Guanajuato. He initially worked with José Clemente Orozco, who impressed him both with art as well as politics. Chávez Morado's most prolific period was between 1955 and 1967, when he realized works in the Ciudad Universitaria in Mexico City, the Secretariat of Communications and Transportation building in Mexico City and the Alhóndiga de Granaditas in his hometown. Olga Costa's real last name was Kostakowsky, but it was Hispanicized to Costa. She was born in Leipzig, Germany but she and her family moved to Mexico when she was very young. She was friends with and contemporaries of Diego Rivera, Frida Kahlo, Rufino Tamayo and Carlos Mérida, as well as wife to José Chávez Morado. She is best known for founding the Galería Espiral and co-founder of the Sociedad de Arte Moderno and the Salon de Plastica Mexicana. Her best known work is titled "Vendedora de Frutas." Other artists include Manuel Leal, whose works are mostly scenes from the state, Romualdo Garcia, better known as a photographer than painter, Hermenegildo Bustos, Hilario Gómez Sánchez and Luis Ferro Márquez. The state also produced one well-known sculptor by the name of Tomás Chávez Morado, brother of José. His works can be seen at the Museo Regional de la Alhóndiga de Granaditas and the Museo del Caracol in Mexico City. Politically the state is divided into eight regions: Region I North/Dolores Hidalgo, Region II North-East/San Luis de la Paz, Region III/Leon, Region IV Center-West/Guanajuato, Region V East/Celaya, Region VI South-West/Irapuato, Region VII Center-South/Salamanca and Region VIII/South-East/Acambaro., It is also divided into forty six municipalities for local government purposes. The municipalities are grouped into 15 political regions for elections. The state government is headed by an elected governor who controls the executive branch of government. The governor has one six-year term with no re-election. He or she is required to report on the state of the government each year on August 1. This branch contains a large number of secretariats and other offices related to social issues, economic issues, education, law and administration. The legislative branch is unicameral with 36 elected representatives. Elections for congress occur every three years. This branch has various commissions related to legal, municipal and economic issues. The judicial branch consists of various levels of courts as well as the attorneys general offices. They are all presided over by a "presidencia." Guanajuato ranks seventh in the country in the number of schools to population and sixth in teacher-student ratio. The state has over 4,000 preschools, 4,600 primary schools, about 1400 middle schools, about 650 high schools, 73 teachers’ colleges, 125 institutions offering bachelor's degrees and 60 offering advanced degrees. 12.1% of the population over 15 is illiterate according to the 2005 census. About half of the state's municipalities have one or more institutions of higher education, with the most important being the University of Guanajuato. This university is in the city of Guanajuato, and began as a Jesuit school for children in the first half of the 18th century. The establishment of this school was sponsored by Josefa Teresa de Busto y Moya, sister of the Marquis of San Clemente, who obtained permission for the school from the Spanish Crown in 1732 and established the institution in her home. She donated a fifth of her fortune towards it and worked to obtain donations from other wealthy families in the city. Over time, the school grew and began to offer high school and professional level studies. It held several names over its history, from Real Colegio de la Purísima Concepción (1767), Colegio del Estado (1828), Colegio Nacional de Guanajuato (1867), with its current name adopted in 1945. The Collegeio del Estado name was prompted the fact that the institution became property of the state in 1828. In 1945, it gained university status. Today the institution serves approximately 30,000 students at the high school, bachelor's and graduate levels. In addition to the main campus in the city, there are nine others in other parts of Guanajuato state. The university hosts a number of the events of the Festival Cervantino, with its famous stairway acting as seating. The best known facility of the institution was the main building in Guanajuato city, which was built in Neoclassical style in green stone. It houses the Dean's office, administrative offices and a number of the institution's departments. The main building is recognized by its long staircase with 113 steps, which empties onto the Callejon del Estudiante. Under the main roof is a 16th-century chapel which was sponsored by Vasco de Quiroga, for indigenous mine workers called the Templo de los Hospitales (Temple of the Hospitals). It was also the place that received the image of the Virgin of the Rosary, now called the Nuestra Señora de Guanajuato. Other institutions include Instituto Tecnológico y de Estudios Superiores de Monterrey (ITESM) campus León and Irapuato, Universidad de León (UDL), Politécnico de Guanajuato, Universidad De La Salle Bajío, Universidad Iberoamericana, Universidad Santa Fe, Universidad de Celaya, Universidad Quetzalcóatl, Universidad Pedagógica Nacional (UPN), Instituto Politécnico Nacional (IPN) Unidad Profesional Interdisciplinaria de Ingeniería (UPIIUG). Instituto Tecnológico de Celaya (ITC), Instituto Tecnológico Roque (ITR), Instituto Tecnológico de León (ITL), Universidad Tecnológica del Norte de Guanajuato (UTNG), Universidad Tecnológica de León (UTL), Universidad Tecnológica del Suroeste del Estado (UTSOE), Universidad Tecnológica de San Miguel de Allende, Universidad Tecnológica de Salamanca, Universidad Politécnica de Guanajuato (UPG), Universidad Politécnica de Penjamo (UPPE), Universidad Politécnica de Juventino Rosas (UPJR) and Universidad Politécnica del Bicentenario (UPB), Instituto Tecnológico Superior de Irapuato (ITESI), Instituto Tecnológico Superior de Guanajuato (ITESG), Instituto Tecnológico Superior del Sur de Guanajuato (ITSUR), Instituto Tecnológico Superior de Salvatierra. So Universidad Nacional Autónoma de México (UNAM) has begun to build a campus in the city of León to serve 15,000 students in the west of Mexico. The project will be built on a 60 hectare site in the south of the city to serve students in Guanajuato, Jalisco, Aguascalientes, Querétaro, San Luis Potosí, Michoacán and Zacatecas, starting in 2011. The first major to be offered is orthodontics, which is not offered by any other school in the region and will be followed by eleven others. Finally in Guanajuato there are research centers as: CIMAT, CINVESTAV, CRODE, CIATEC, CIO, CICSUG, CIQI, IIBE, IIEDUG, IIC, IIM, INIFAP, and laboratories as: CFE LAPEM and LANGEBIO . The Guanajuato International Airport, formerly the Bajío International Airport is located in the municipality of Silao between the cities of Silao and León. The airport currently serves the following airlines: Magnitur, Delta Air Lines, United Airlines, Aviacsa, American Airlines, Aeromar, and serves the following destinations: Mexicali, Mexico City, Tijuana, Monterrey, Cd. Juárez, Cancún, Zacatecas, Puerto Vallarta, Zihuatanejo, Los Angeles, Dallas, Houston, Atlanta, San José, California, Chicago, Oakland and Denver. There is one other airport in Celaya which serves domestic destinations as well as airfields in San Miguel Allende, Doctor Mora, Irapuato, Manuel Doblado and San Francisco del Rincón.